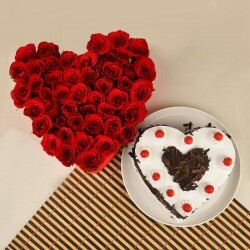 Shop from our exemplary range of Valentine flowers online and send them to special someone in Patna. Every order you place with us will always be on-time and hassle-free. Indulge in sheer freshness with our beautiful floral range for Valentine's Day and be a reason to their smile on their every special occasion. What does Valentine’s Day mean to you? For us, it’s the most romantic time of the year that fills our hearts with cheer, and we know you couldn’t agree with us more, right? Therefore, on this Day, the love of your life deserves to be loved and pampered with some special gifts. When it comes to Valentine gifts, nothing makes a more profound gift than flowers. 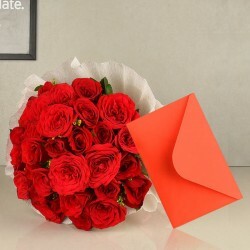 So, now touch the right chords of your lover by sending Valentine flowers to Patna with MyFlowerTree. Yes, if you are looking for the best way to surprise your girlfriend on Valentine’s Day then, all you need to do is to send a bunch of beautiful flowers delivered at her doorstep. Everyone loves to receive flowers from their loved ones on a special occasion like Valentine’s Day. Flowers have the power to make anyone smile in a fraction of seconds. Be it their charm or fragrance or delicateness everything is so enchanting about flowers. Therefore, if you want to say something special to your partner on this Valentine’s Day then, say it with flowers for they will help your love grow. 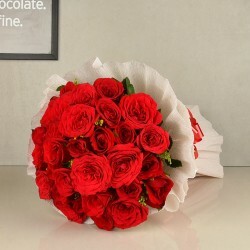 And, when it comes to Valentine flowers, you can find them in every nook and corner during the Valentine week but if you do not want to compromise with the freshness of flowers then, order Valentine flowers online in Patna from MyFlowerTree, wherein the freshness of flowers are 100% guaranteed. 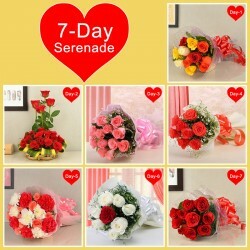 Want to Send Valentine Flowers to Patna On The Same Day? Staying away from your loved ones and not getting to meet them for a long time feels bad but thanks to the online gift portals via which you can now send your tokens of love to for your loved ones. Similarly, on Valentine’s Day, you can send Valentine flowers to Patna online for your long-distance lover and make her your presence felt. 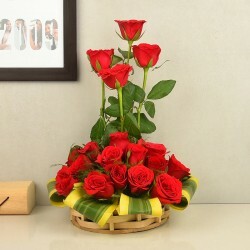 Now, sending Valentine flowers to Patna is very easy and fast with our same day delivery. 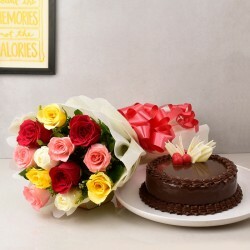 We ensure same day Valentine flower delivery to our customers so that everyone can send flowers and Valentine gifts to Patna with ease. We also offer free shipping to our customers. 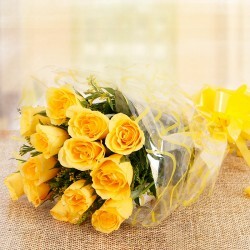 MyFlowerTree provides you a wide range of Valentine flowers that comes in plethora of colours. We have romantic roses in all shades that are sure to make your girl feel special on Valentine’s Day. Apart from the quintessential roses, we have orchids, carnations, lilies, gerberas, tulips etc to convey your deepest feelings of love for your significant other. We offer heavenly flowers arranged beautifully in baskets, boxes, and vases. We also have heart-shaped flower arrangements that exude love in a true form. 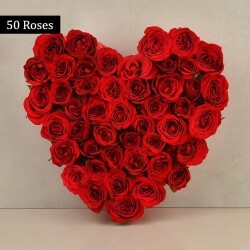 The Valentine flowers available on our online flower shop are an affordable and romantic way to profess your love for your partner on Valentine’s Day. So, hurry up to book a romantic flower arrangement for your lover in Patna from us and make her feel special on Valentine’s Day. 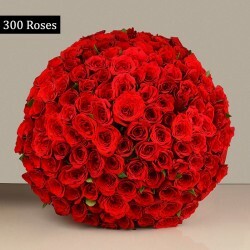 MyFlowerTree delivers Valentine flowers in more than 350+ cities of India and we also provide International flower delivery.